Amen sistah! I don’t blame you one bit!! Just did it Goal 20 min finished 18:50!! 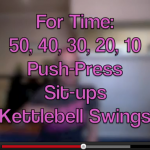 Used 10lb DB and 15lb KB… Dripping sweat and feel GREAT!! Thanks for another WONDERFUL workout! did this with 2 15lb dbs for the push press and a 25lb db for swings Did it a couple seconds away from 20 mins, loved the workout my shoulders were finished after this. Loved this! 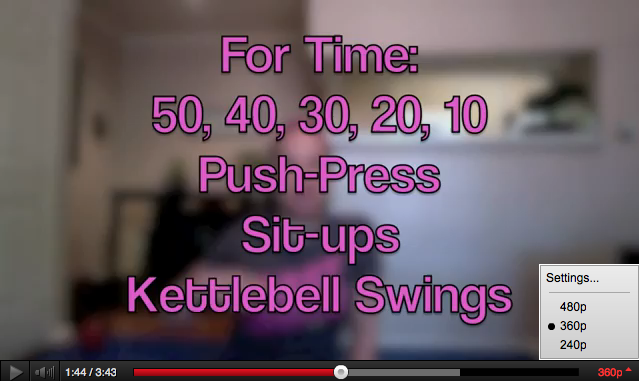 20 minutes flat…used 8 lbs for push press and 15 lb kettlebell. I’m sure I’ll be dying tomorrow.